Only two pictures to report from Transferred which ended it’s run at the Torpedo Factory last weekend. All photographs by Tim Castlen. That’s me pointed to evidence I have a cat. To the left, Sacred Heart and to the right, Apple. 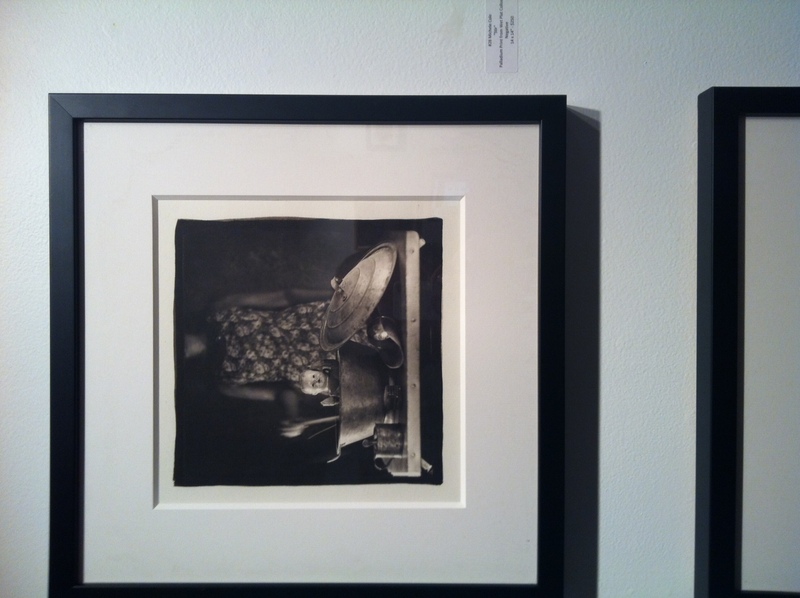 Below is an image by Michele Cole’s palladium print Stir. In the battle for supremacy, who will win? 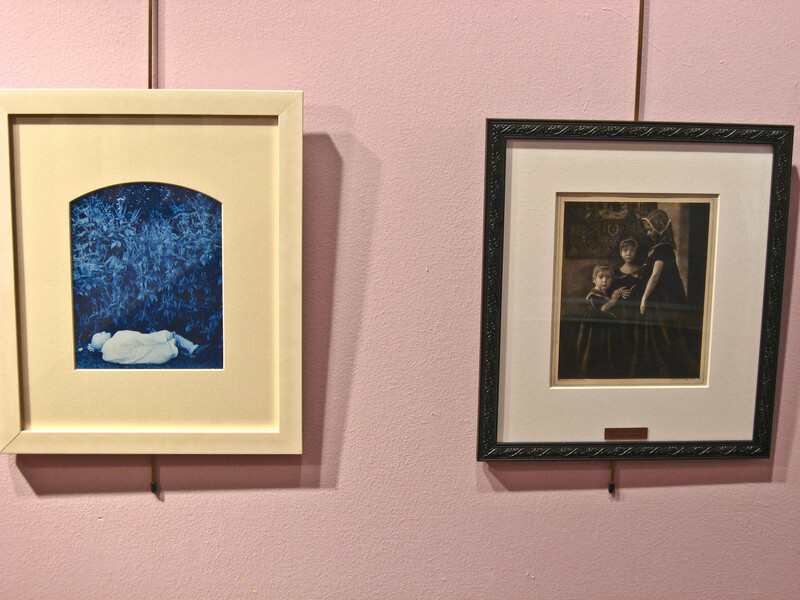 Will it be Ohio’s most famous pictorialist after Clarence White, Jane Reece? Or will it be Francis Schanberger adopting the guise of Dr. Frangst? 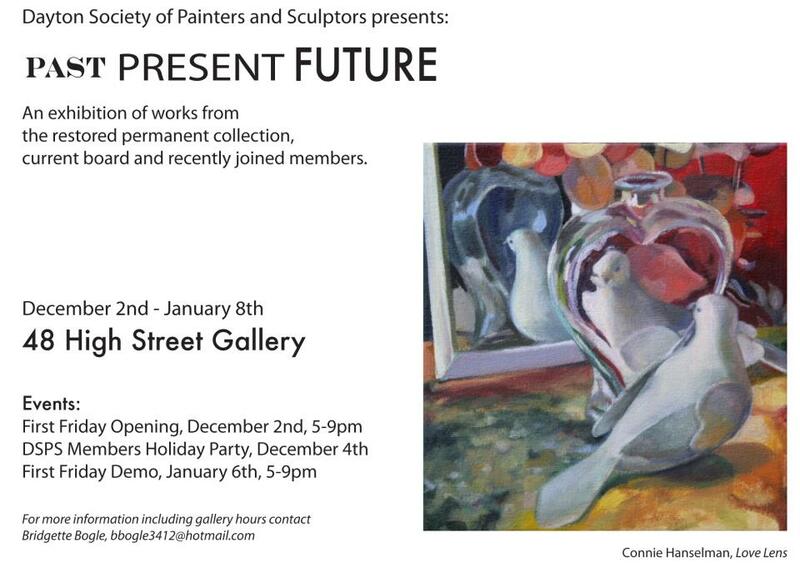 Please visit the next exhibition by the Dayton Society of Painters and Sculptors, “Past, Present and Future” to find out. Here are the next layers, ugly as they may be. I was searching for a cadmium orange to go on top of the cyanotype layer and not finding any mixed up something hideous. I also neglected to smooth out the brushed on emulsion creating the paint brush streaks. Maybe the students will like them but I don’t. Second layer of pink made using the black color separation with a five minute exposure. 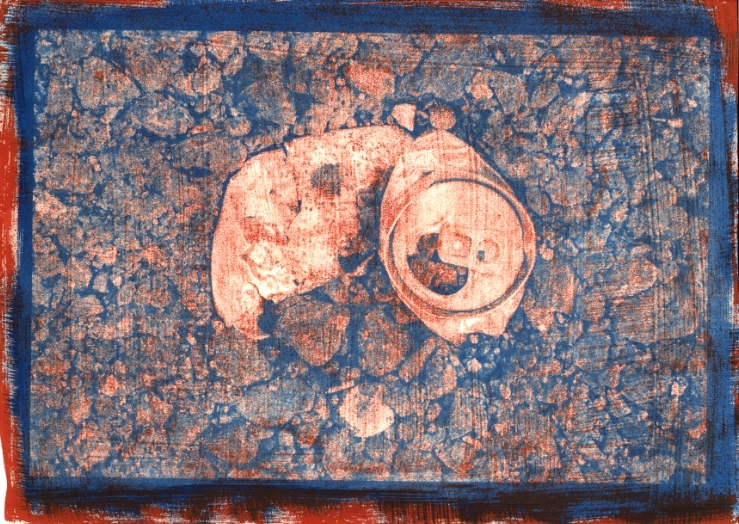 Ugly orange red mix like Venetian Red on top of the cyanotype layer. Exposed for five minutes using the magenta separation. 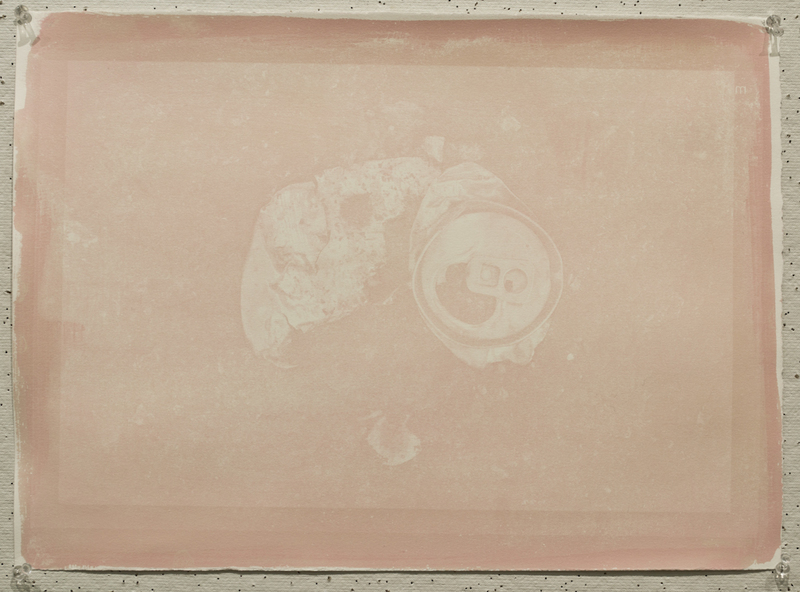 For the alternative processes class, a gum bichromate demonstration. The digital photo is from my wedding day (a walk before the ceremony) in San Patricio, New Mexico six years ago. 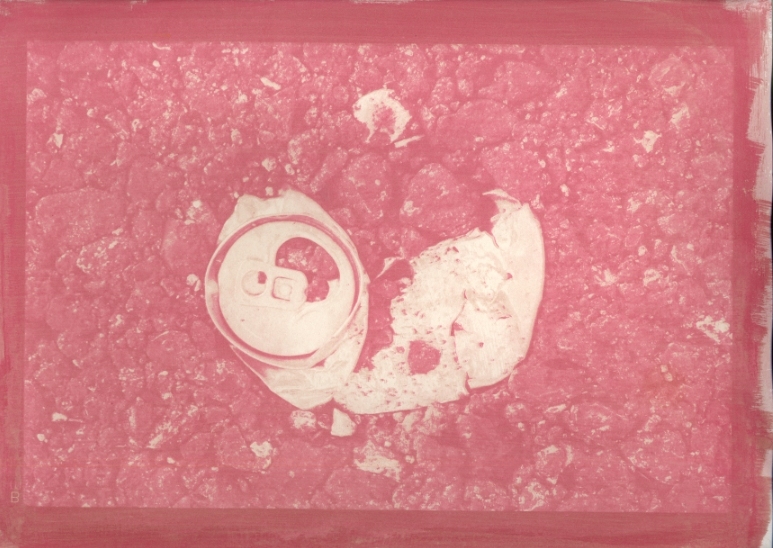 The first print is a single layer of pink using a magenta color separation negative exposed for five minutes. 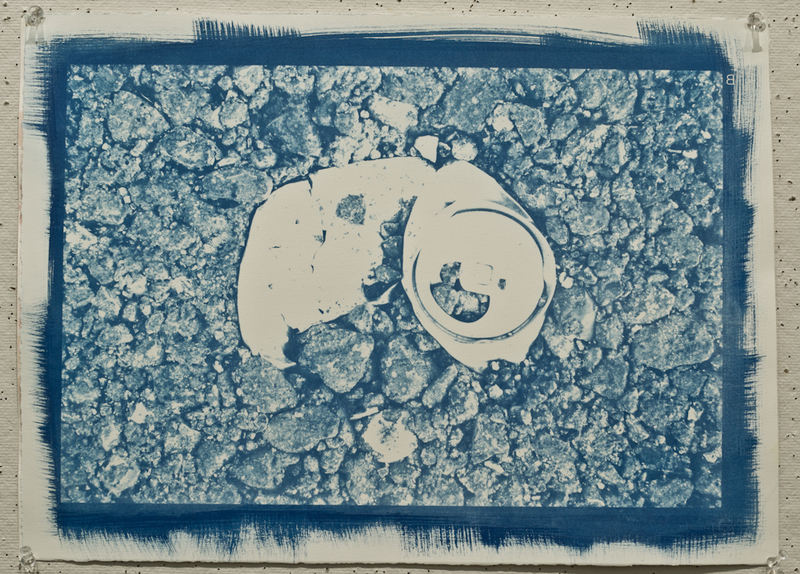 The second print is cyanotype layer lightly exposed in the NuArc First Light for 15 minutes using a black color separation negative. Tonight I did two more exposures / layers on top of these but I won’t be able to photograph and upload them until next Monday. Right now I am trying a few different approaches to creating photographs based on the trees of Woodlawn Arboretum and Cemetery. The pinhole, eight x ten and one other technique to be unveiled later this week (it involves spray paint!). This one feels like winter and I just may photograph the pecan trees in Dexter this way. After one roll, I am in love with the Diana Mini! Three attempts at photographing an ash tree and sky, Sunday November 13th. Welcome to archive Mondays. 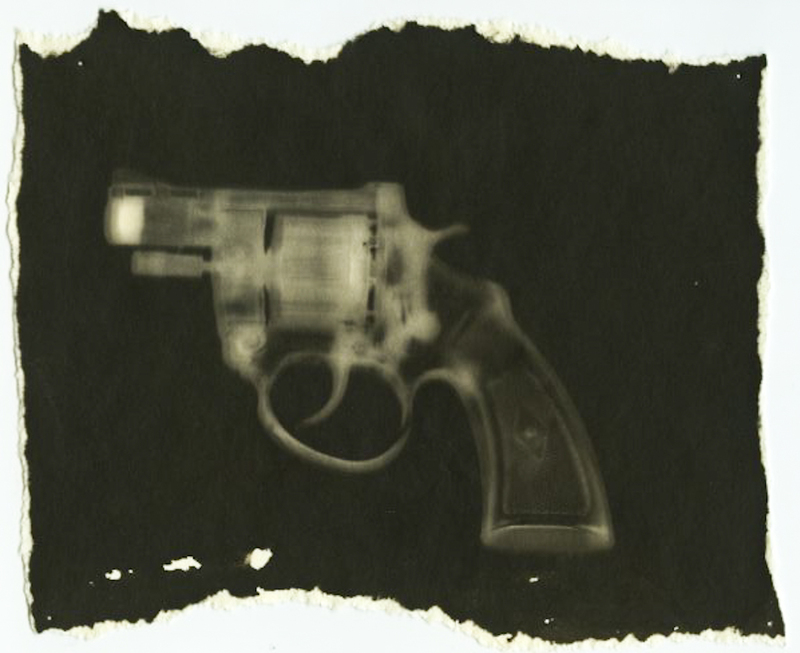 I’ve got a gun or more accurately a photogenic drawing of a starter pistol. It is a palladium print on Crane’s stationary from about 2007. 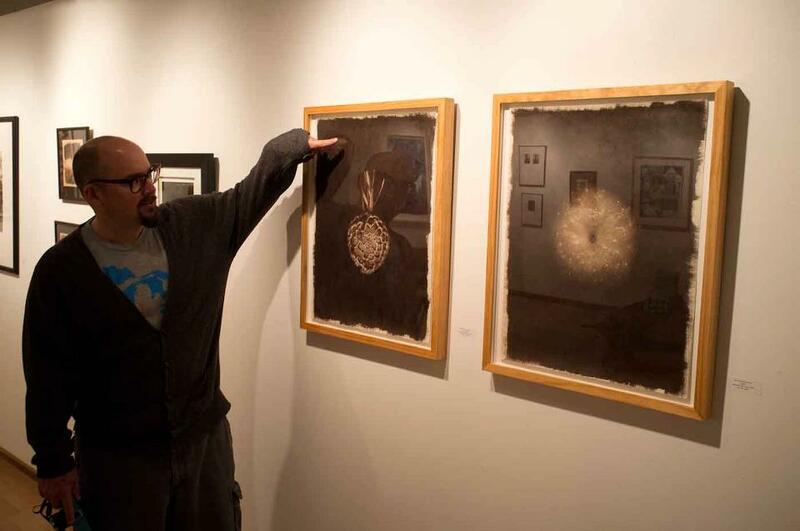 The Torpedo Factory has images up for the work being shown in Transferred: Alternative Processes in Photography. Please visit the Target Gallery website at: http://www.torpedofactory.org/galleries/target2011/Transferred_Artwork.htm. Participating artists are: Aspen Hochhalter, Erin Woodbrey, Alison Nguyen, Michele Cole, Timothy McCoy, Alexander Larson, Jonah Calinawan, William Fenn, Emily Barnett, Gary Salazar, Paige Critcher, Marydorsey Wanless, Therese Brown, Rebecca Sexton Larson, Scott K. Murphy, Angela Kidd, Alice O’Neill, Elizabeth Janis Sweeney, Lindsey Beal, Barbara Johnson and the two represenatives from Ohio, Tracey Longley-Cook and myself.